While the poet has been dead for over a century, his poetic landscape lives on in the iambic pentameter of the crowds on Ghalib Street. Here human rhythms beat out a verse all their own. The various landmarks are like couplets. 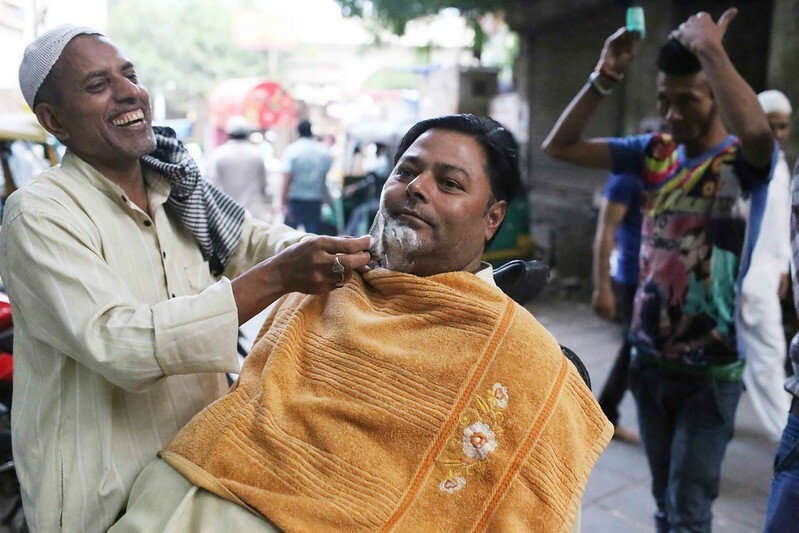 Super Looks Saloon looks out on to a dilapidated ruin; the Happy Deal Store’s bearded owner often reads out his late father’s handwritten Urdu diary. 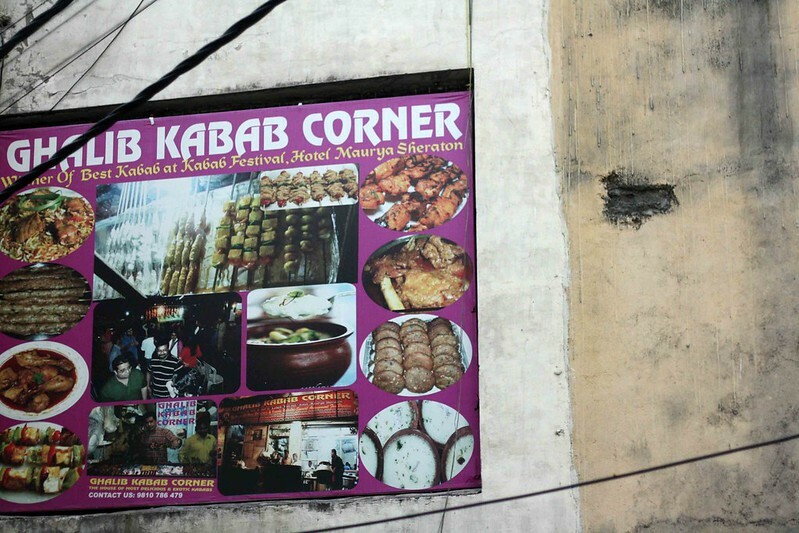 The tables outside Ghalib Kabab Corner are laid out on the pavement, as in a Parisian café. Ahmed Emporium advertises mosquito nets. Mother India Travels promises a daily bus service to the Taj Mahal in Agra and Attar Mahal’s glass perfume bottles are stacked near an aquarium. 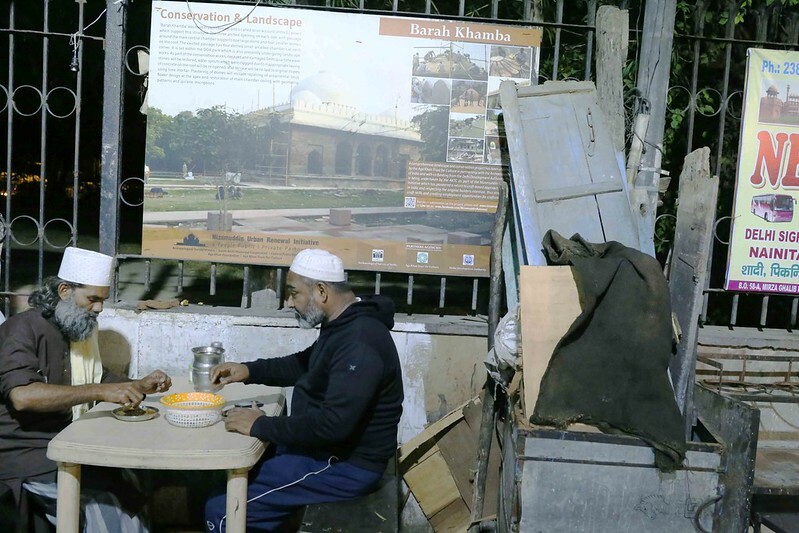 The open-air Farah Roti Wale serves nihari with the rare ghee-cheeni roti. And then there is Husseini Hotel, where actor Ranbir Kapoor was famously seen eating sheermal (sweet bread) in the 2011 film Rockstar. Ghalib Street begins at Lodhi Road and ends a few hundred metres further south at the marble tomb of Mirza Ghalib, the great 19th century Urdu poet. The lane is tucked within a 14th century village in central Delhi best known for the tomb of Sufi saint Hazrat Nizamuddin Auliya. Hundreds of people walk down the lane every day on their way to the shrine. 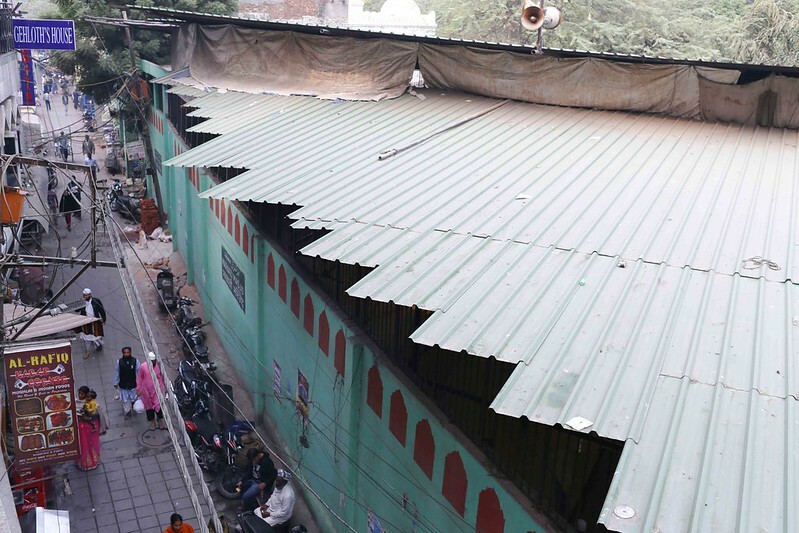 Adjacent to the lane is the markaz (centre) of the secretive Tablighi Jamaat, an Islamic revivalist group with a worldwide following of millions. 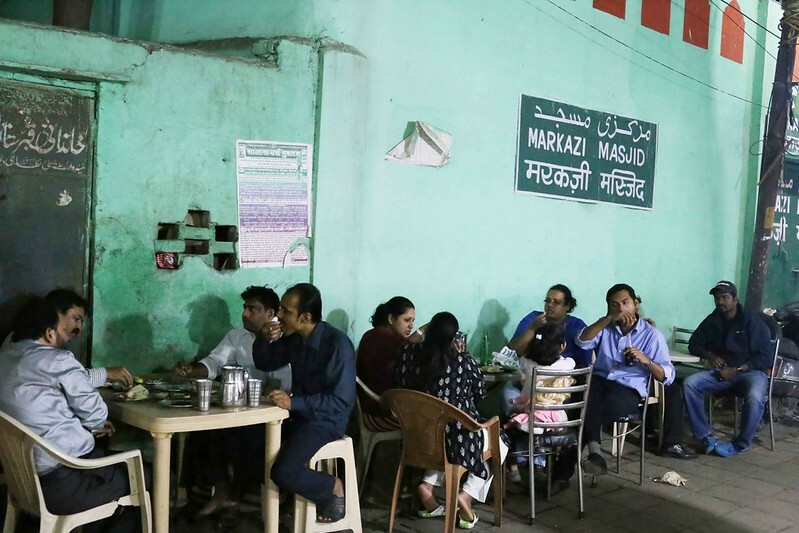 The organization’s grey building is visited by Muslims from countries like Malaysia, Nigeria and the UK, and they fill Ghalib Street with their many languages and accents—so international cosmopolitanism is not out of place. 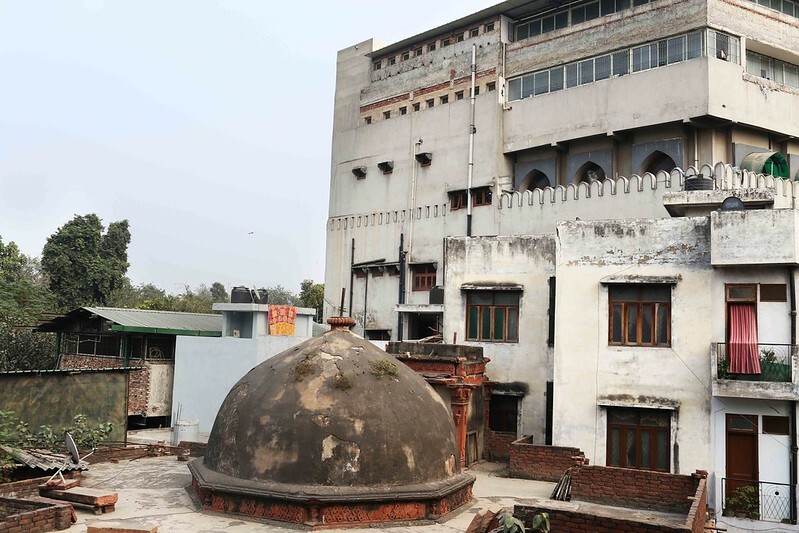 The street abuts two monuments: Lal Mahal is one of the earliest Islamic buildings, erected during the early years of the Slave dynasty, while the Lodhi-era Barakhamba monument, once home to drug addicts, was restored by the Aga Khan Trust for Culture early this year. 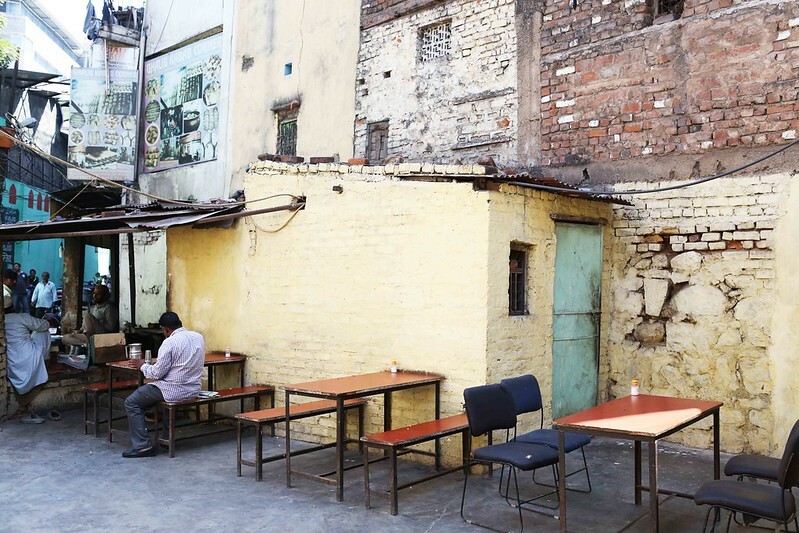 The recent rise in the number of visitors to Ghalib Street has been due mostly to its kebab and korma eateries, say many locals. The first surge, they say, originated with Rockstar. 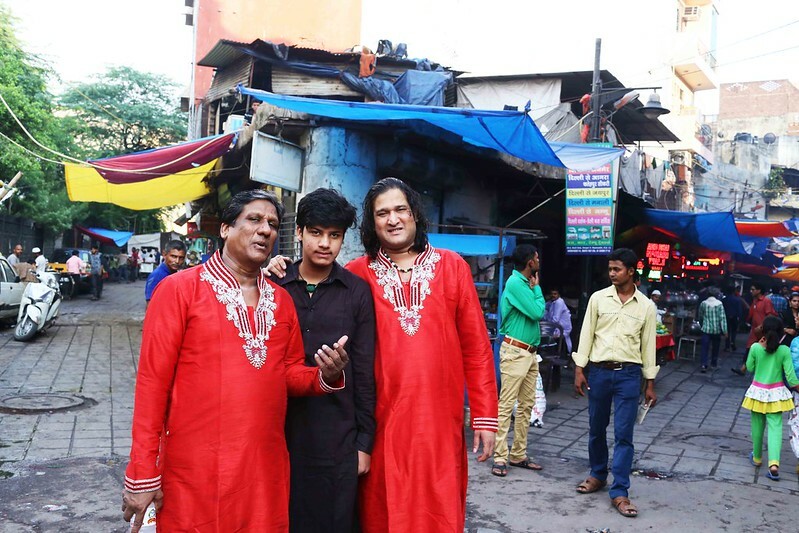 Its hit Sufi song, Kun Faya Kun, was filmed at the Hazrat Nizamuddin dargah. The shrine also featured in this year’s blockbuster, Bajrangi Bhaijaan. Both films fleetingly showed Chand Nizami, Nizamuddin Basti’s most famous qawwali performer. He can often be seen strolling down Ghalib Street. Next door is the rustic-looking Husseini Hotel. Founded in 1952, it is the street’s most beautiful space. You may lounge here for hours, as you would at a Khan Market café, but at one-hundredth the price. There is a sunlit courtyard for diners, along with a corridor with arches and walls painted in green. The street-facing counter is stacked with old-style cauldrons filled with nihari, korma and dal. The milky sheermal are covered in a fine net to keep away the flies. As in almost every establishment on this street, the people at the Husseini add to the charm. The always smiling brothers, Talib and Makki, sit at the counter. They courteously call out to every acquaintance passing by, making small talk about health and the weather. Two months ago, the brothers installed a giant metal signboard in their quiet courtyard. It is the Husseini’s first attempt at advertising. 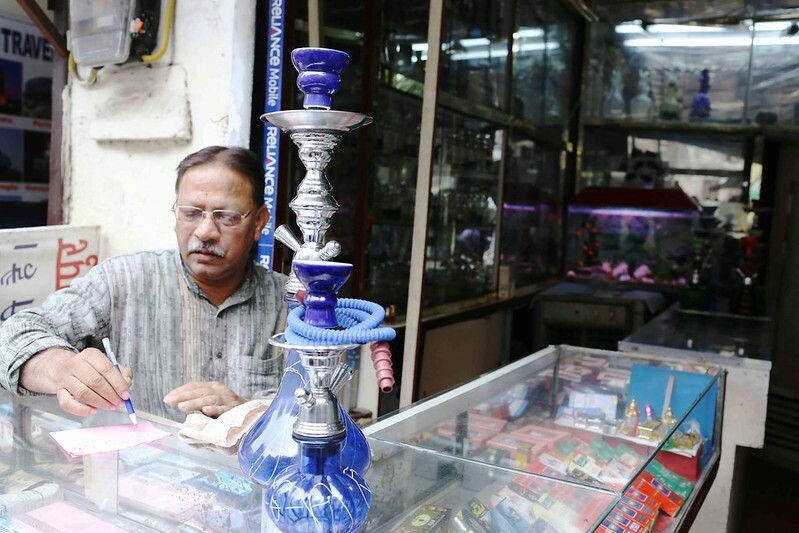 One hopes that the gradual gentrification of Ghalib Street will not compromise its authenticity. The people and places here sustain a fragile social ecosystem that could be destroyed even by small changes. Take the pavement stand of barber Tasleem Abbasi. 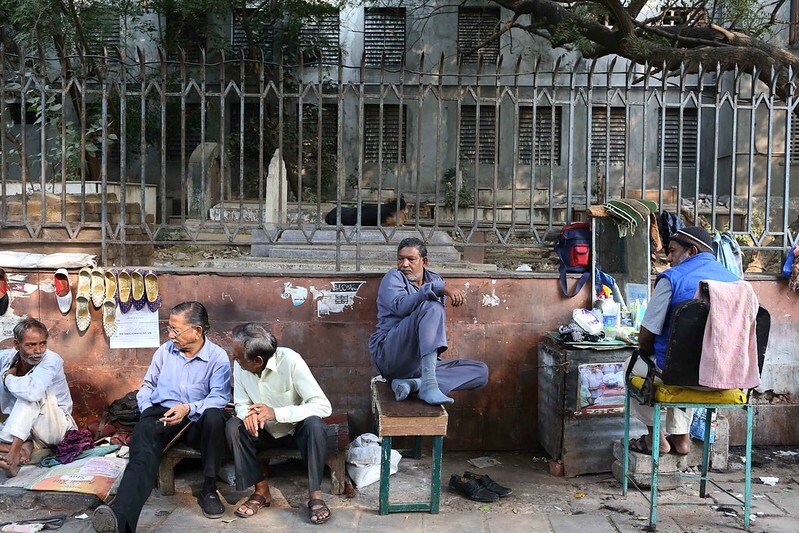 A stone’s throw away from Ghalib’s mazaar (mausoleum), it is an institution. 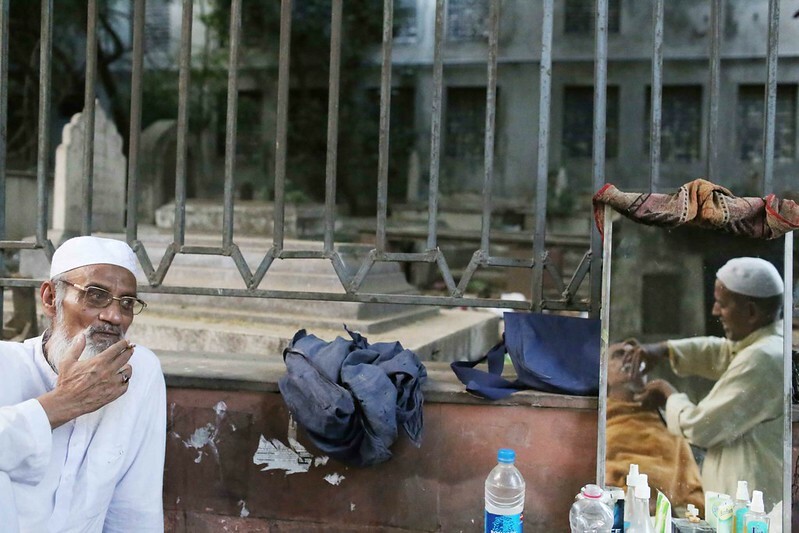 Every day, groups of people sit around Abbasi’s 20-year-old stall. Author Jane Austen would have found their conversations useful. Many regulars have acquired nicknames. 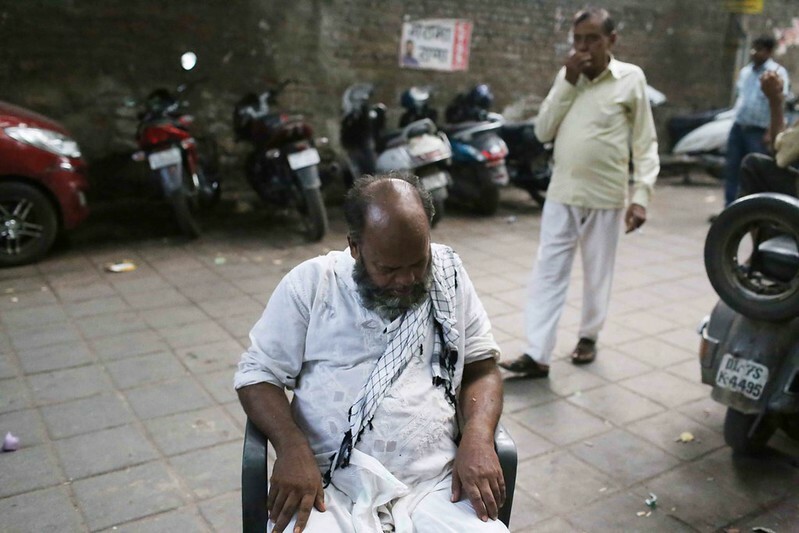 Mohammed Mustaqeem, a biryani seller, is known as Sotu Ram (Sleeping Ram) because he takes a regular nap at the stall. 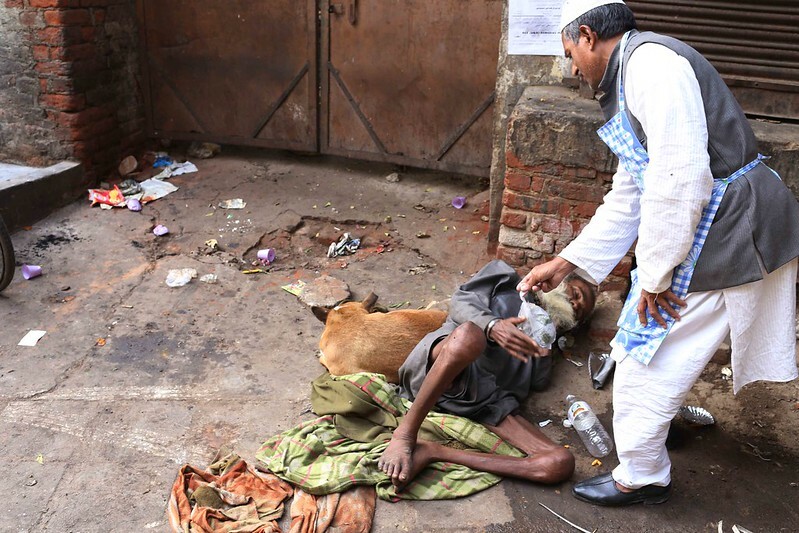 Opposite Abbasi’s stall sits an elderly homeless man. 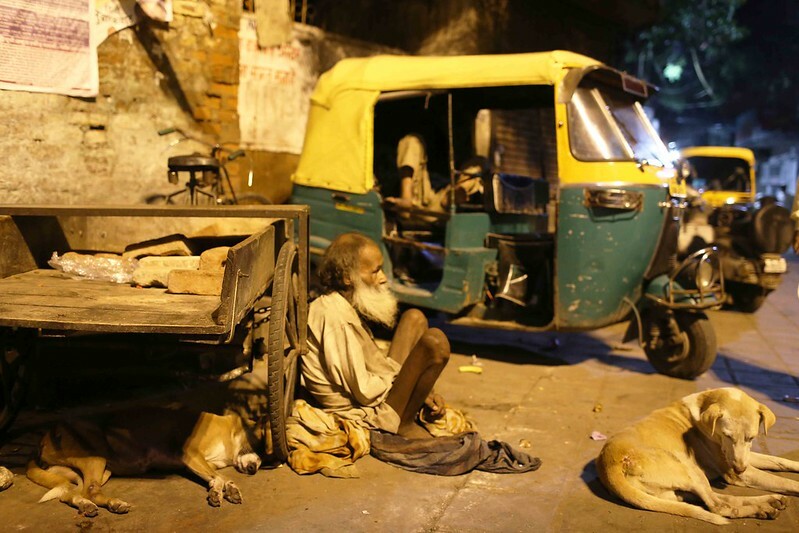 He lives there with a dog, so he is known as Kutte Walla Baba, the man with the dog. 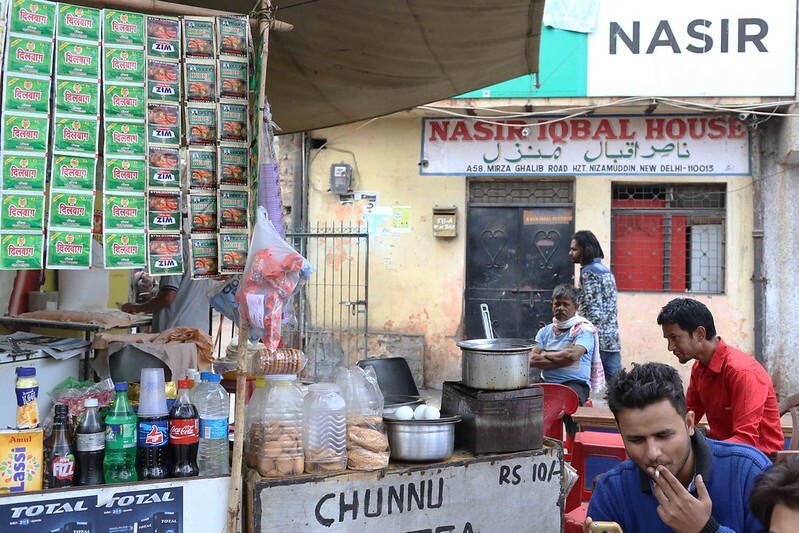 He never speaks and doesn’t have anything other than the chai and matthi supplied to him by Adnan Bhai’s tea stall, another Ghalib Street establishment. 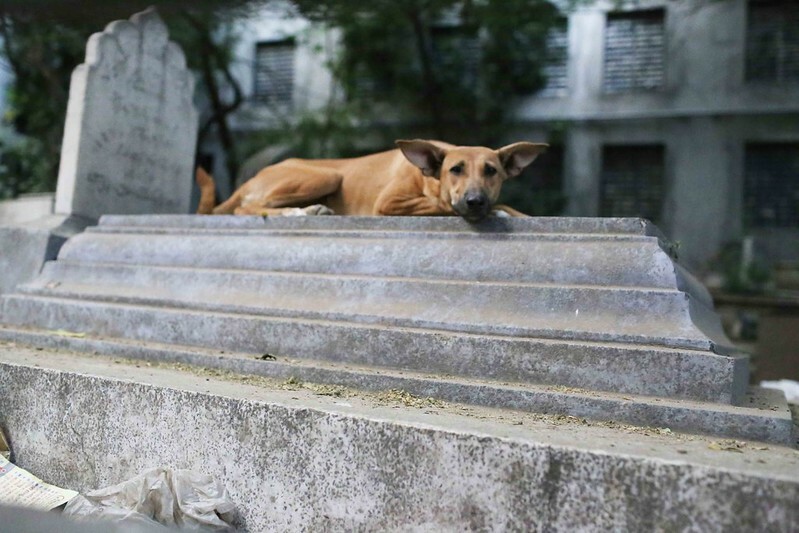 The barricaded graveyard behind Abbasi’s salon is home to a brown dog often seen sitting on a stone grave. 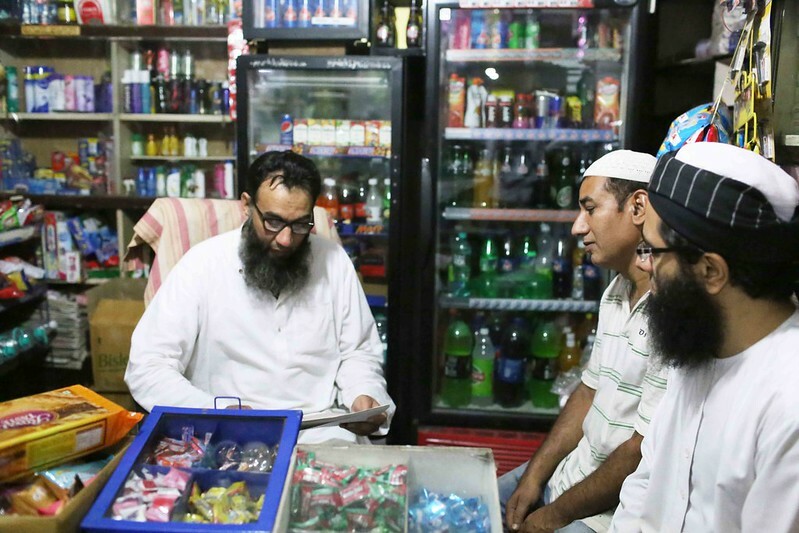 Spend an hour at the nearby Happy Deal Store, and you’ll know the middle-aged customers buying “full body underwear”, the young men from the Tablighi Jamaat asking for toothpaste in a British accent, the migrant labourer from Chhattisgarh asking for a bottle of mustard hair oil, or the turbaned man who just wants to chat with the shop’s soft-spoken owner, Mohammed Abid. Abid has his own delectable story. He says his family was brought from Baghdad to Delhi by Hamida Banu Begum, emperor Humayun’s wife, during her journey back from the hajj. He talks of that centuries-ago migration as if it happened yesterday. In fact, Abid discusses the histories of Delhi’s Mughal rulers the way we talk about Narendra Modi and Rahul Gandhi. 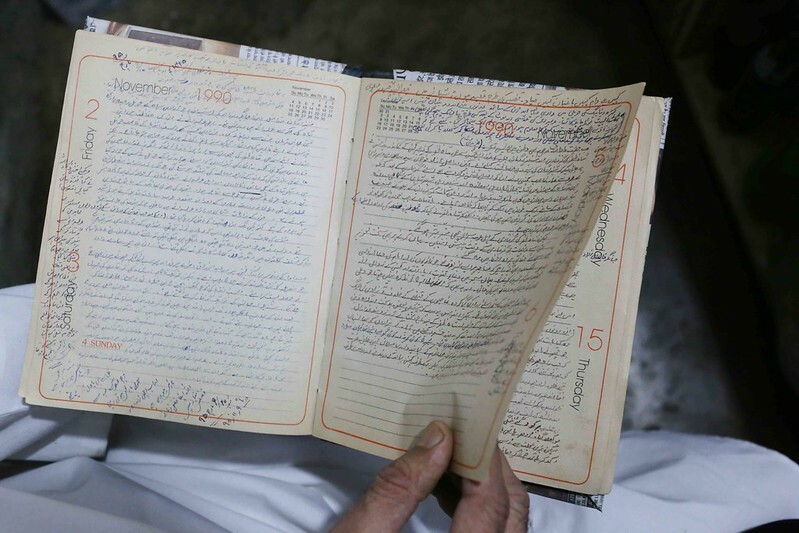 Abid’s father, a maulana who presided over Muslim weddings, kept a diary in Urdu in which he jotted down extraordinary things—short obituaries of the local gentry, narrations of the dreams he would have at night, and instructions to his sons on how to live a righteous life. Abid reads out passages from the diary on request. I would like to know more about the elderly man with the dog. A post about him would be great! Thanks for giving glimpses of this street. Now I am paying an unplanned visit to Delhi because my flight to Chennai was cancelled. The poetry festival I had planned to attend was also cancelled. Now that I’m here I want to visit a bookstore or two. I want to buy Carole Satyamurti’s modern verse retelling of the MAHABHARATA, and your blog has gotten me interested in Nizamuddin. I would also like to buy Sufi music.